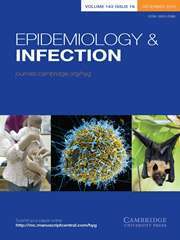 Epidemiology and Infection is a fully open access journal publishing original reports and reviews on all aspects of infection in humans and animals. Particular emphasis is given to the epidemiology, prevention and control of infectious diseases. The field covered is broad and includes the zoonoses, tropical infections, food hygiene, vaccine studies, statistics and the clinical, social and public-health aspects of infectious disease. Papers covering microbiology and immunology which have an epidemiological relevance are part of this broad field. Papers come from medical and veterinary scientists worldwide. It has become the key periodical in which to find the latest reports on recently discovered infections and new technology. For those concerned with policy and planning for the control of infections, the papers on mathematical modelling of epidemics caused by historical, current and emergent infections, will be of particular value.